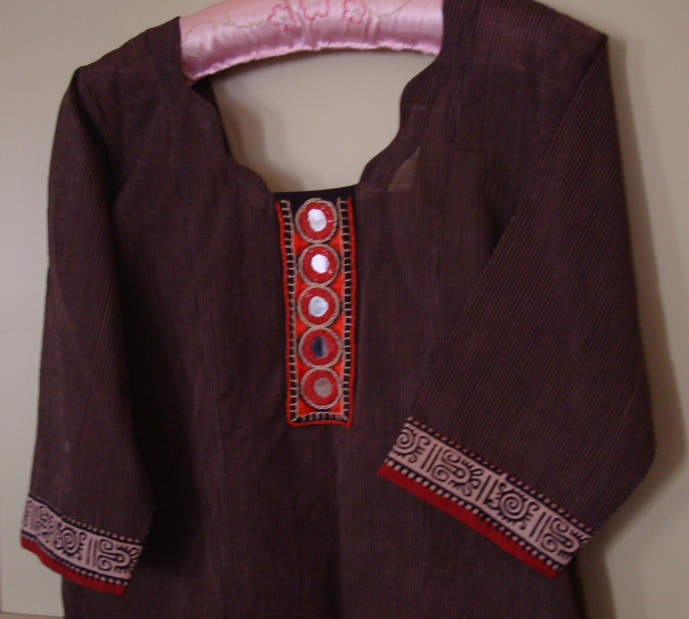 The fabric of this tunic is handloom mangalagiri cotton. I think it is a black fabric with beige stripes, because black is prominent. There was another fabric with block printed borders. That fabric had black prints on beige with an orange in between. 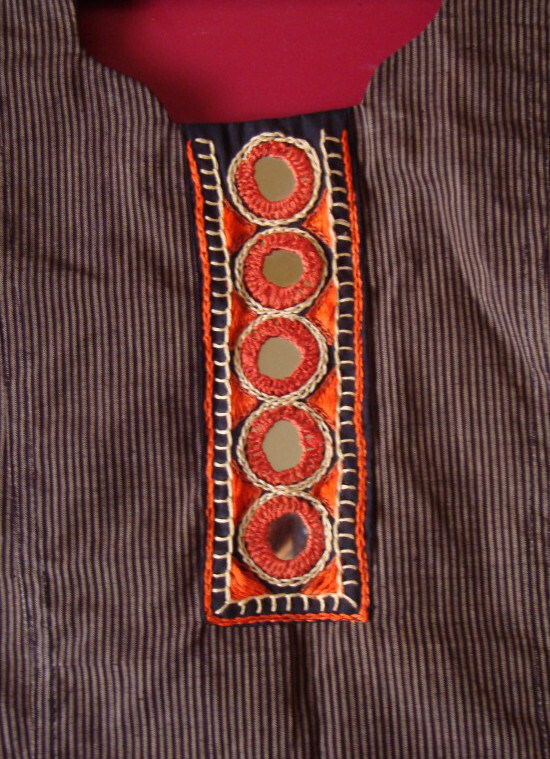 With idea of using this border fabric for sleeves, back neck, a small mirror work pattern was chosen for the front. The embroidery was mainly worked with shades of orange with beige outlines. Two or three strands of cotton skeins were used . The embroidery stitches were- shisha stitch, herringbone stitch for filling the triangles, buttonhole and chain stitches for outlining. 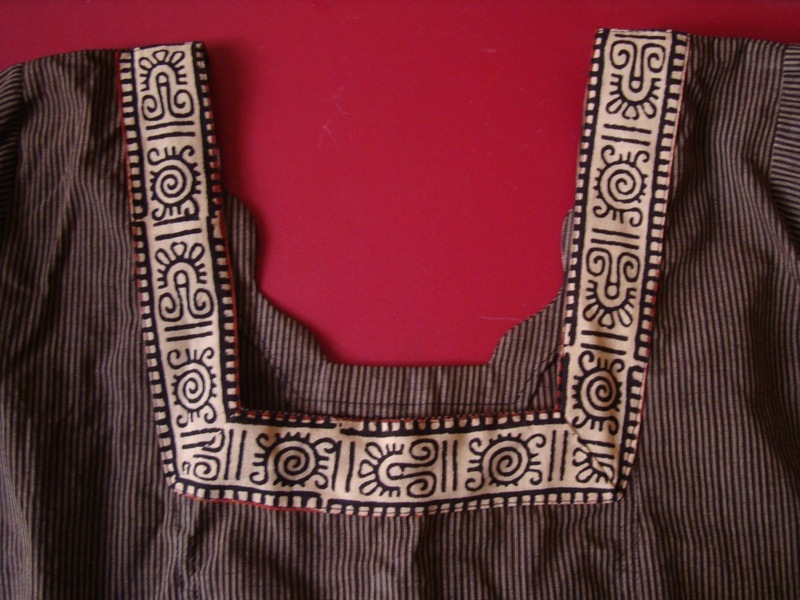 The back neck with printed border. It is easy to work with big round mirrors. Even simple designs can be brightened with these mirrors.